Bar Council of India (BCI) has started AIBE X 2016 application form in online mode from January 19, 2017. The offline application form of AIBE X is available from January 16, 2017 and candidates can obtain it from official address. As per the earlier notification of BCI, the online application of AIBE X was to begin from January 6, 2017 but due to some undisclosed reasons it has been extended. Moreover, the exam date of AIBE X has been postponed by a month. Earlier it was to be conducted on February 26, 2017 but now it is scheduled to be held on March 26, 2017. Candidates will be awarded Certificate of Practice by BCI after qualifying AIBE X which is an assessment test conducted to test analytical skills and basic understanding of law. 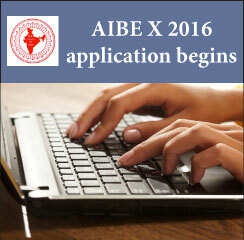 How to apply for AIBE X (10) 2016 Application Form? Click on link provided for AIBE X application form 2016. Register for AIBE X by entering basic information such as name, parents name, address. Education qualification, email id and mobile number. Click on Next to complete AIBE X application process. Candidates need to upload documents including Photograph, Signature, Attested Enrollment Certificate and Govt. Attested Photo Id. Click on Acknowledgment and Terms and Conditions after reading it carefully. Click on Save to submit the application form of AIBE X. Candidates need to complete other formalities of application form of AIBE X including application fee remittance. BCI will be conducting AIBE X (10) 2016 in offline mode at more than 60 test centres across India. The test paper of AIBE X will carry 100 objective type questions carrying one mark each and will be provided in 11 languages.